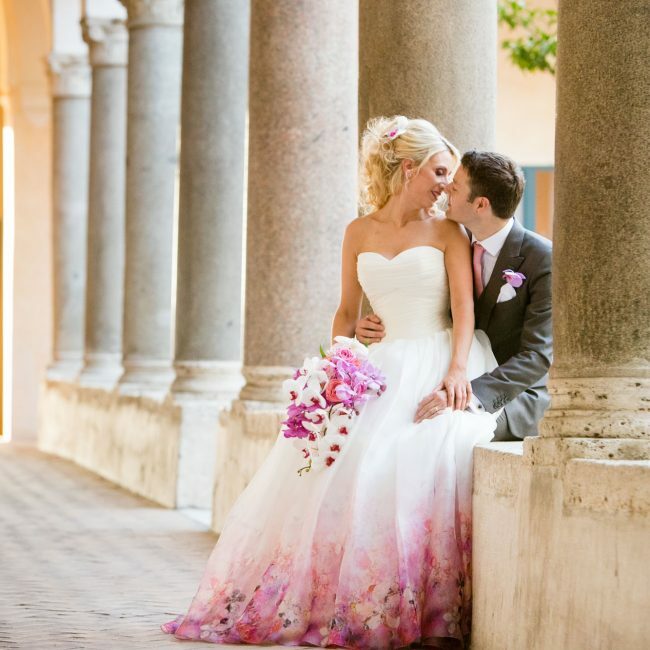 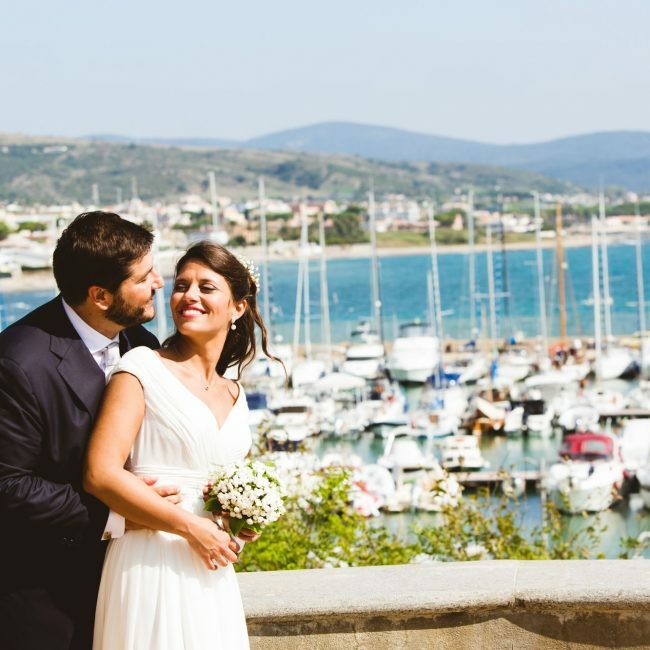 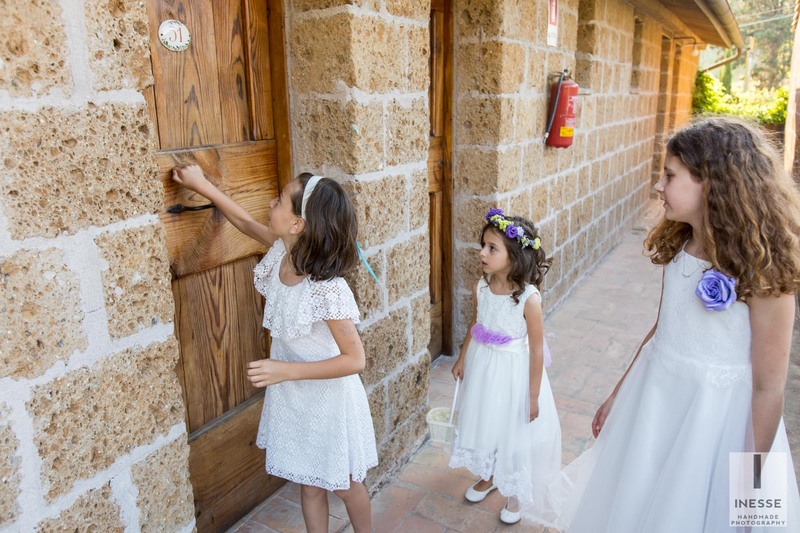 Today we tell you about the wedding of Diana and Danilo, a love story born working together. 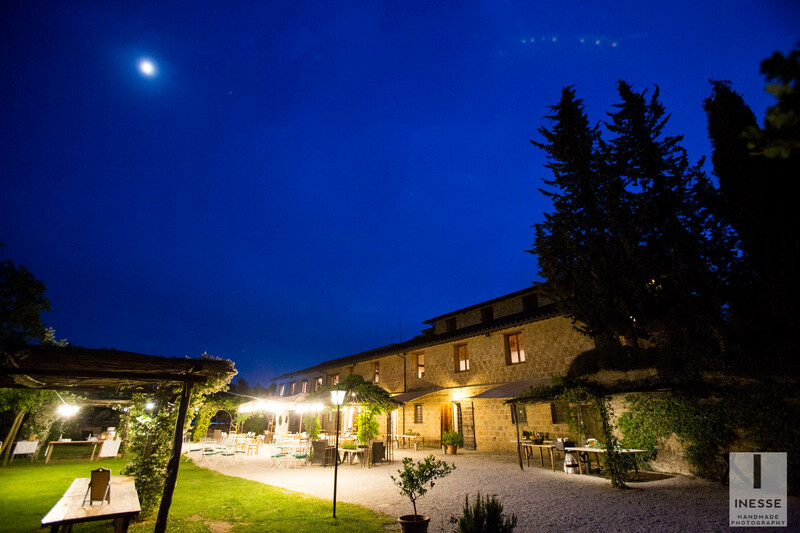 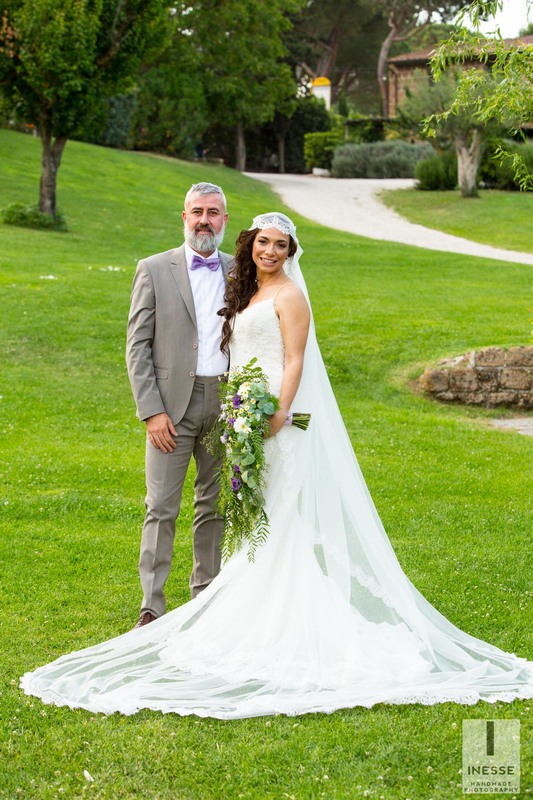 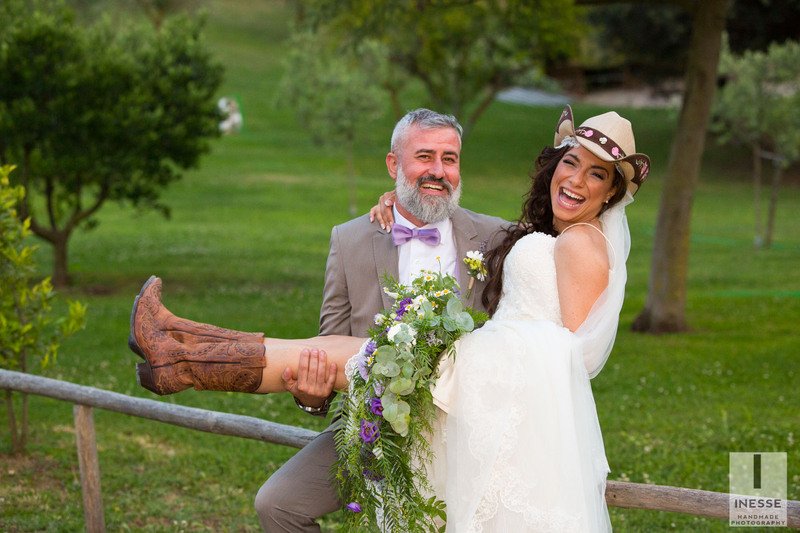 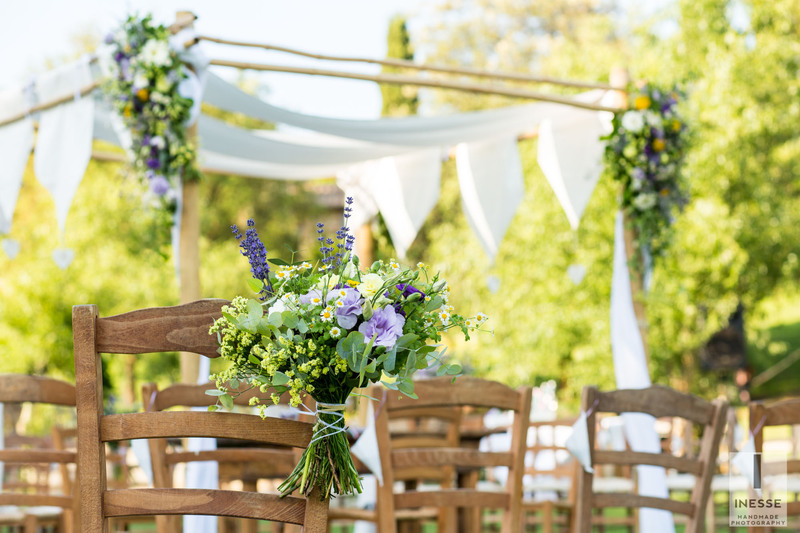 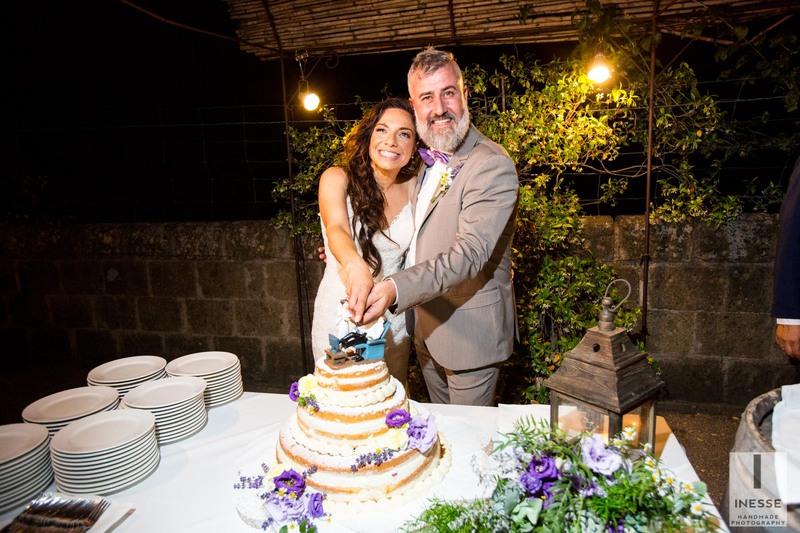 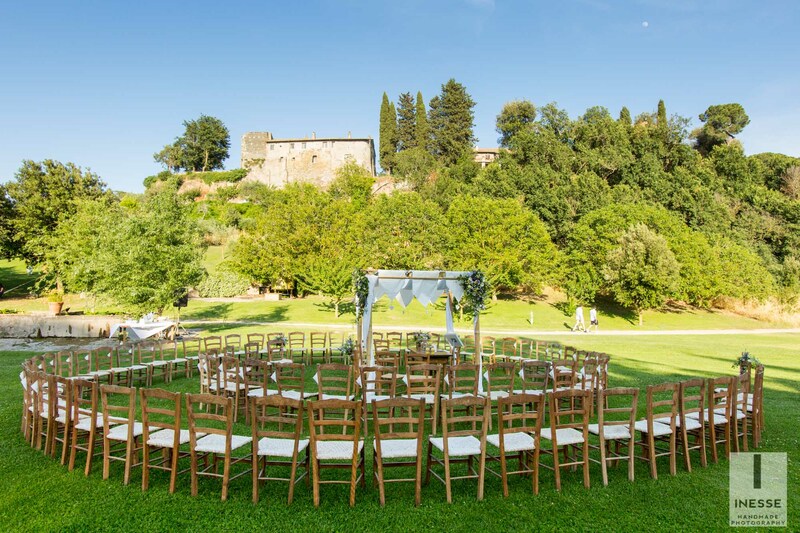 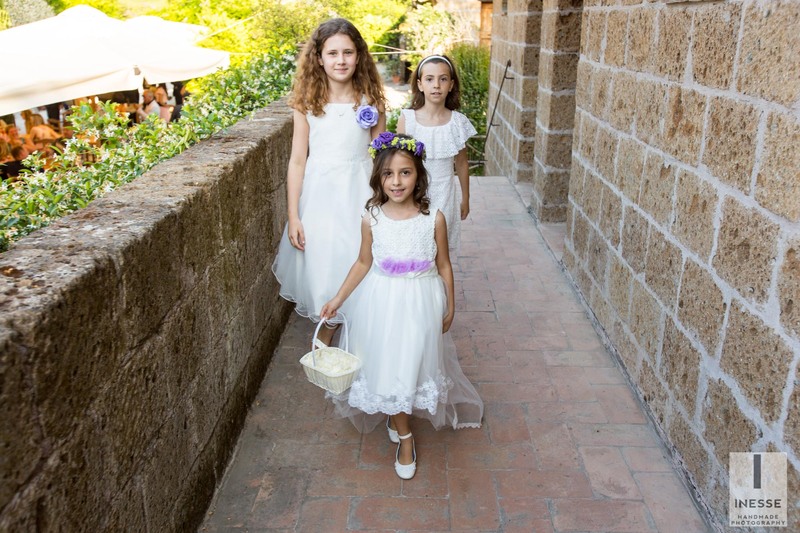 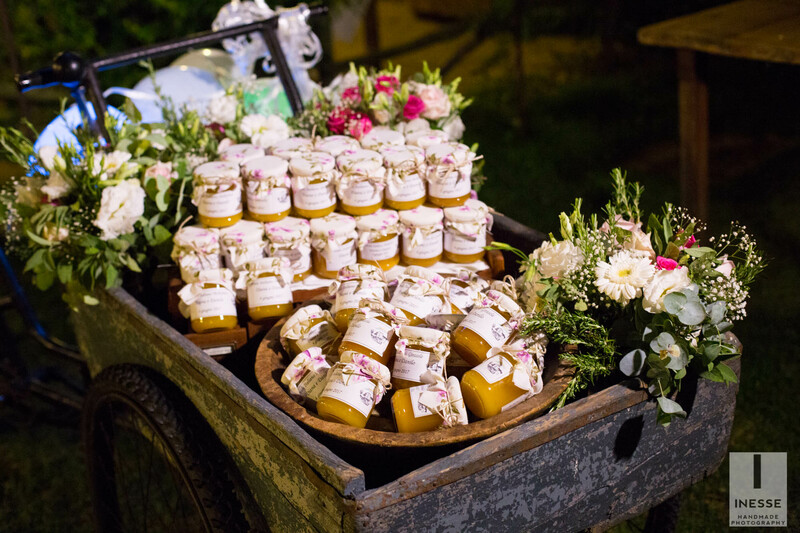 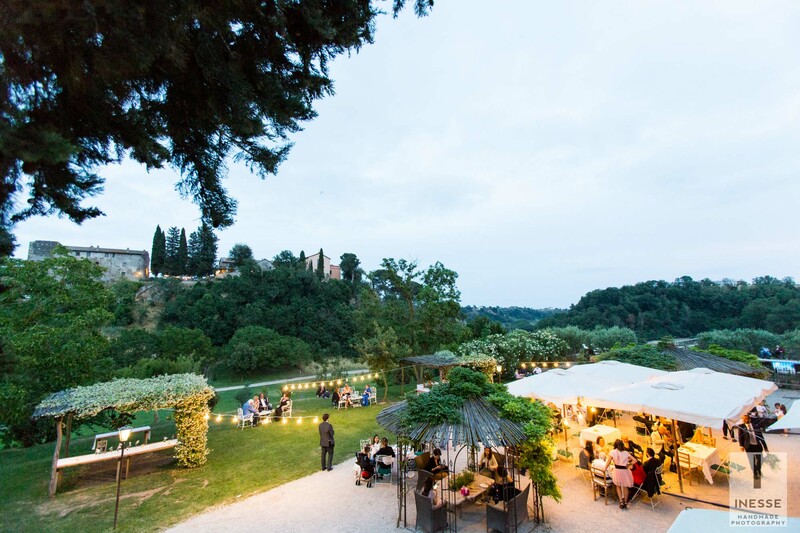 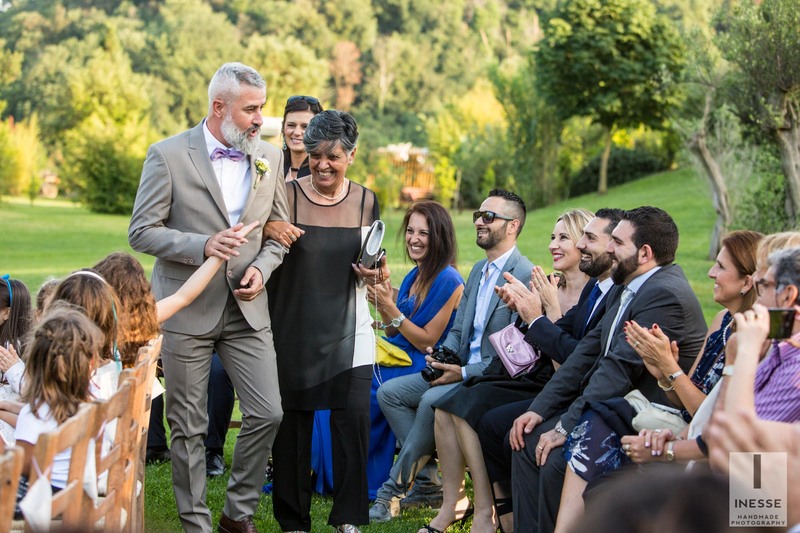 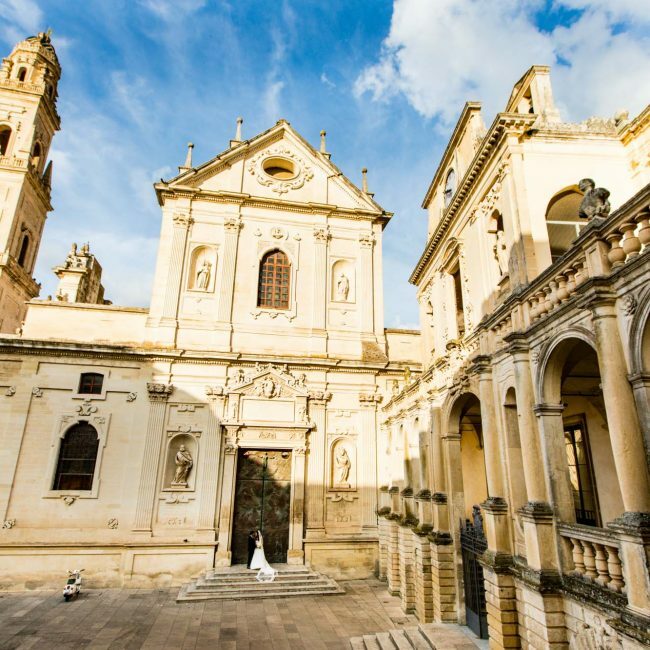 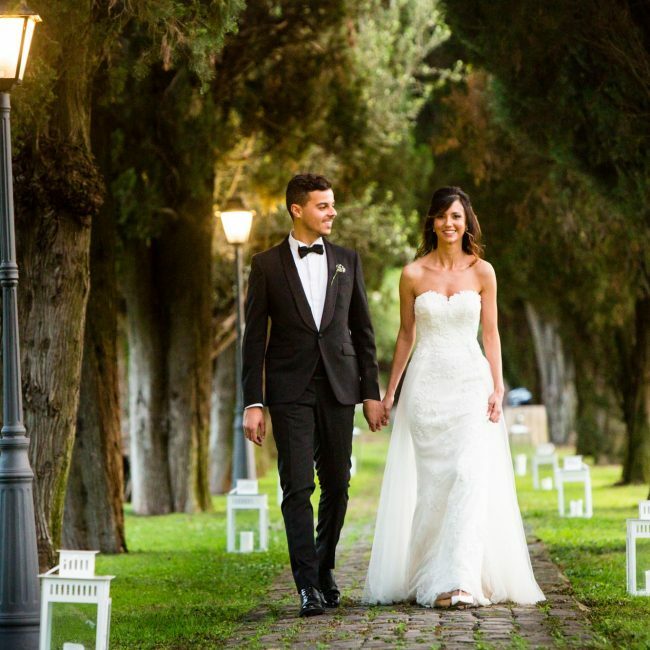 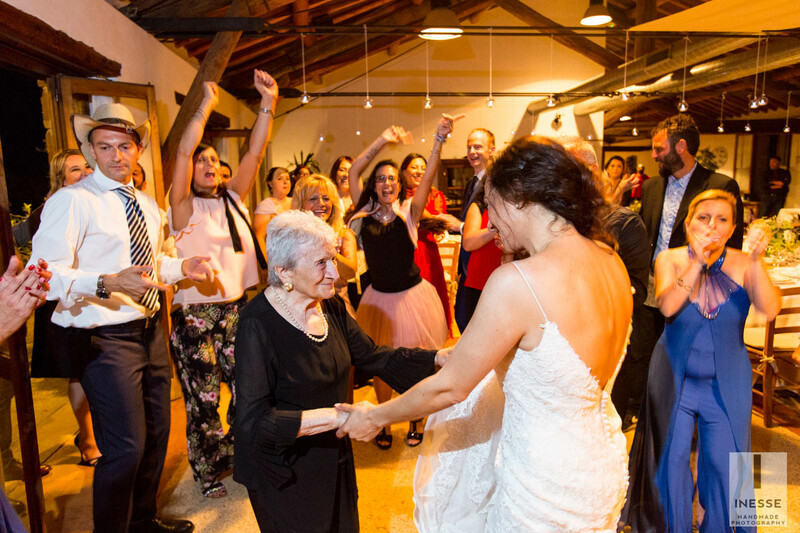 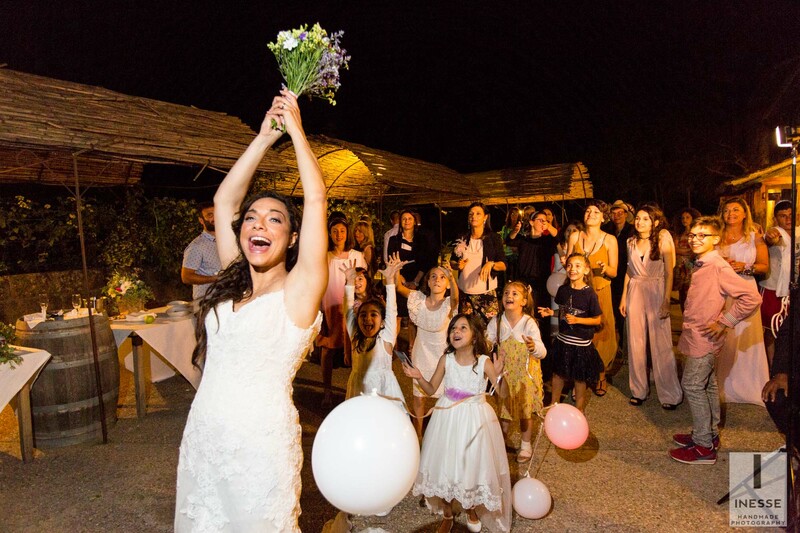 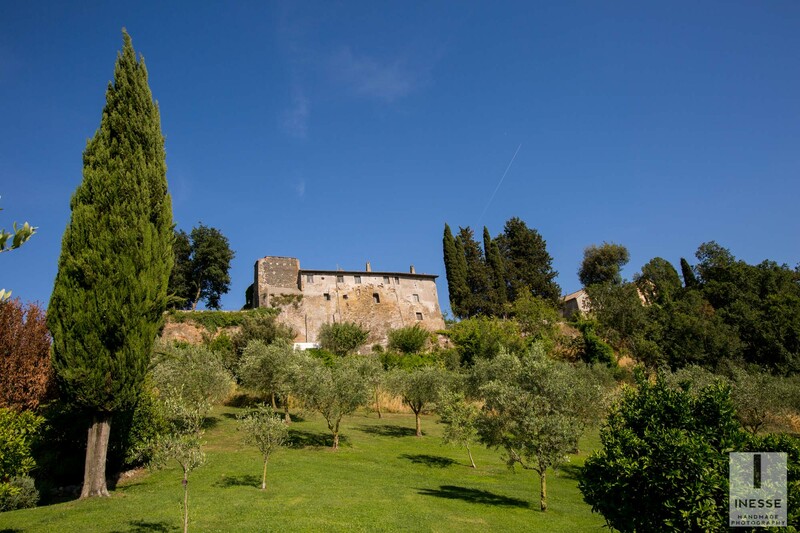 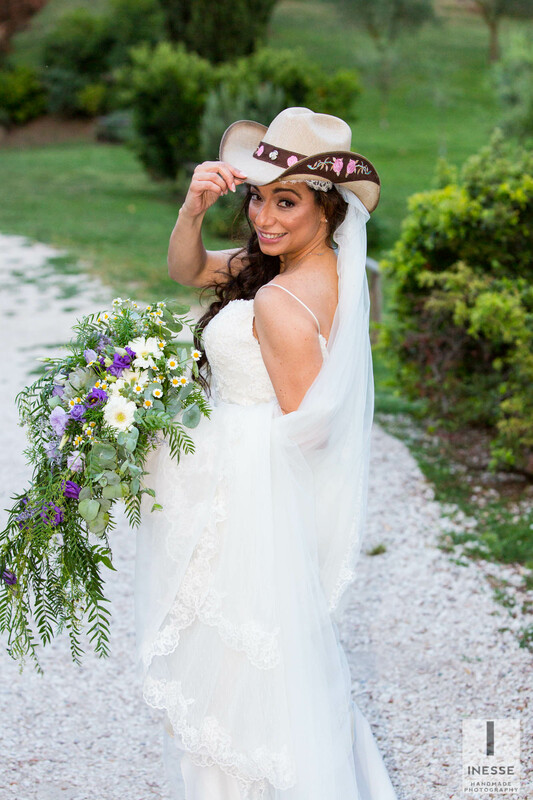 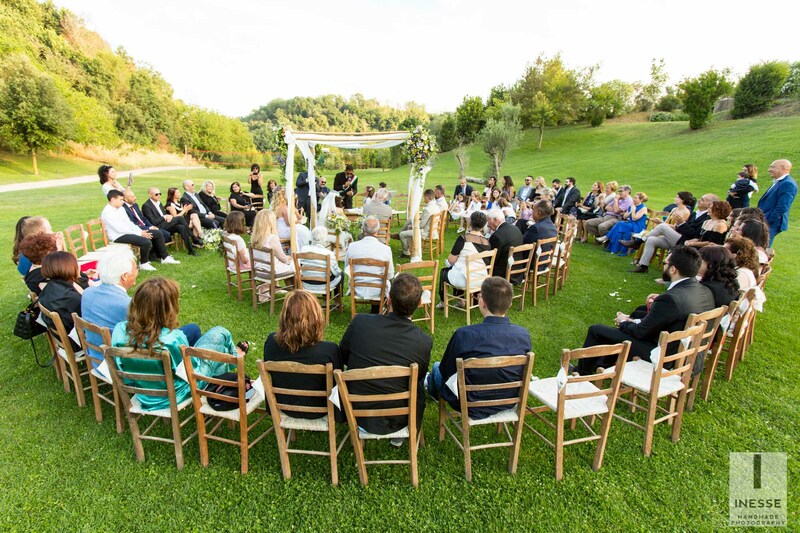 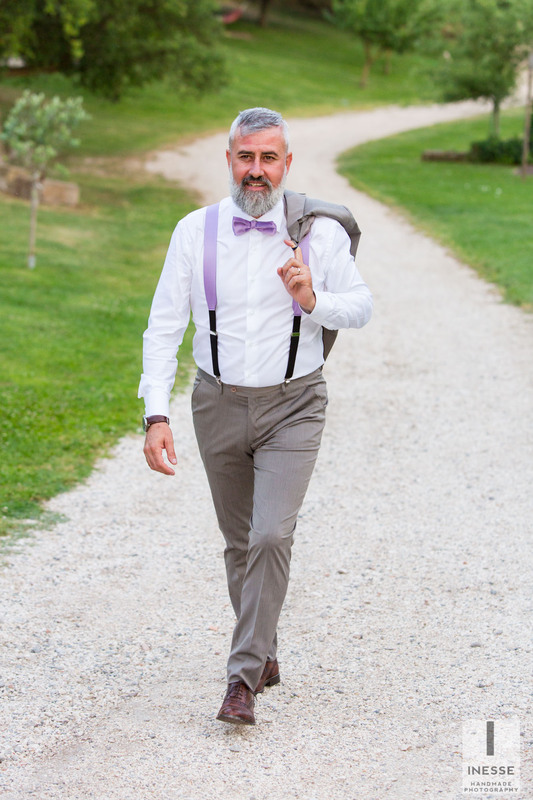 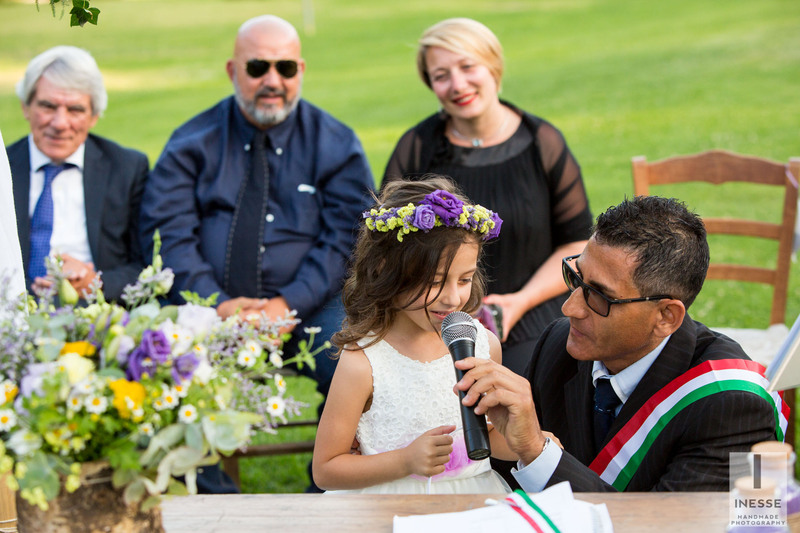 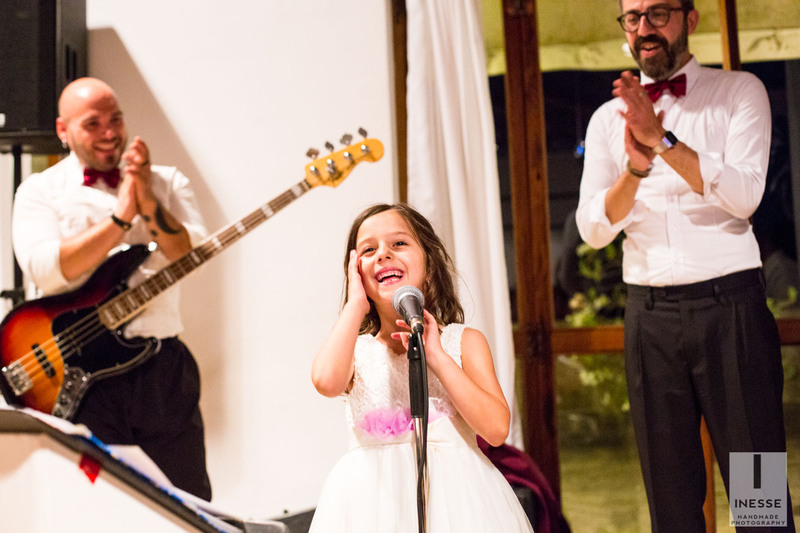 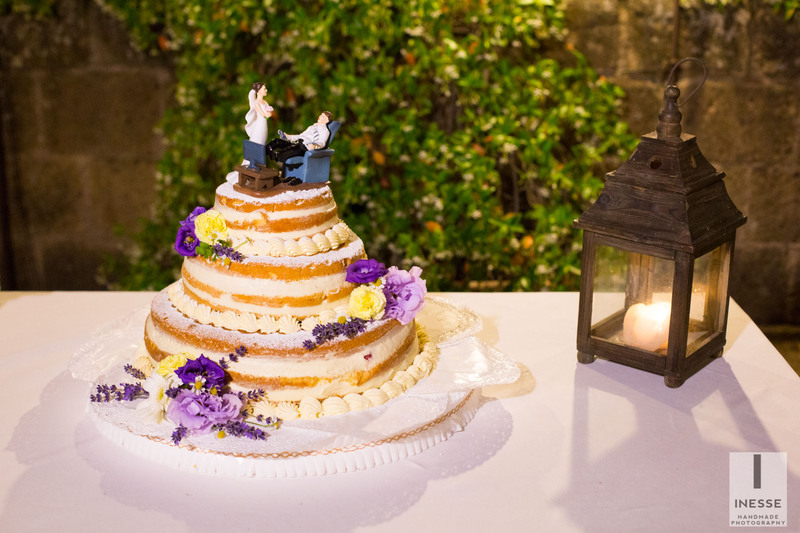 Both comes from Rome but she originally comes from Texas and to celebrate their wedding they have chosen a location near Rome, the Borgo di Tragliata. 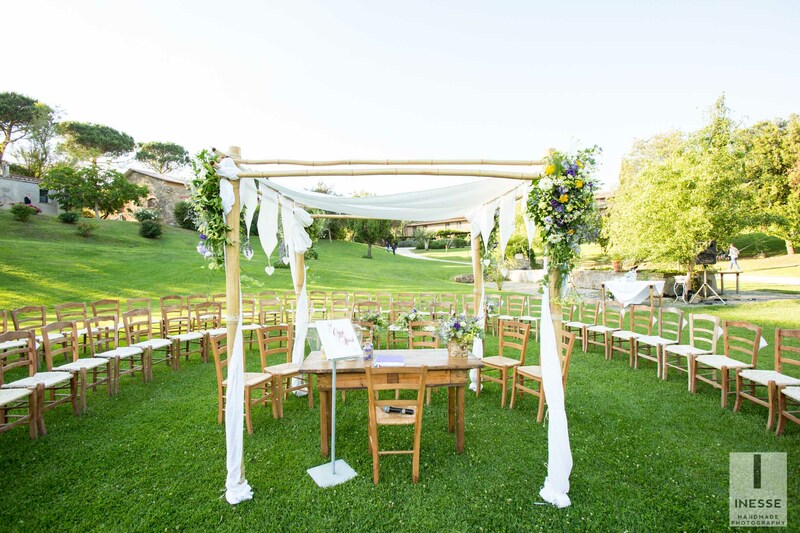 Everything was done there, from getting ready to the reception, including the civil ceremony in the beautiful lawn of the estate. 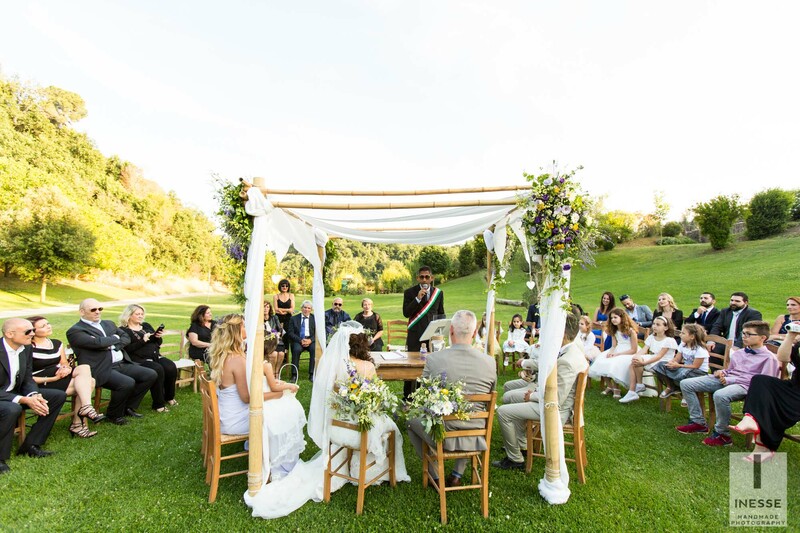 The irreplaceable Wedding Planner Valentina Tonelli with the support of Ilaria, manager of Borgo di Tragliata, took care of the general organization of the wedding, from the floral arrangement to the make-up, from the reception of the guests to the overall success of the event.con il supporto di Ilaria del Borgo di Tragliata, ha curato l’organizzazione generale del matrimonio, dall’allestimento floreale al make-up, dall’accoglienza degli ospiti alla buona riuscita generale dell’evento. 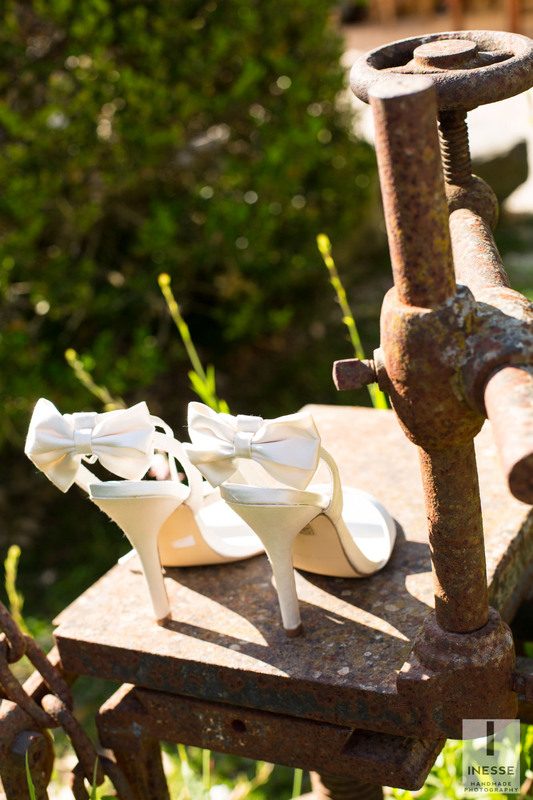 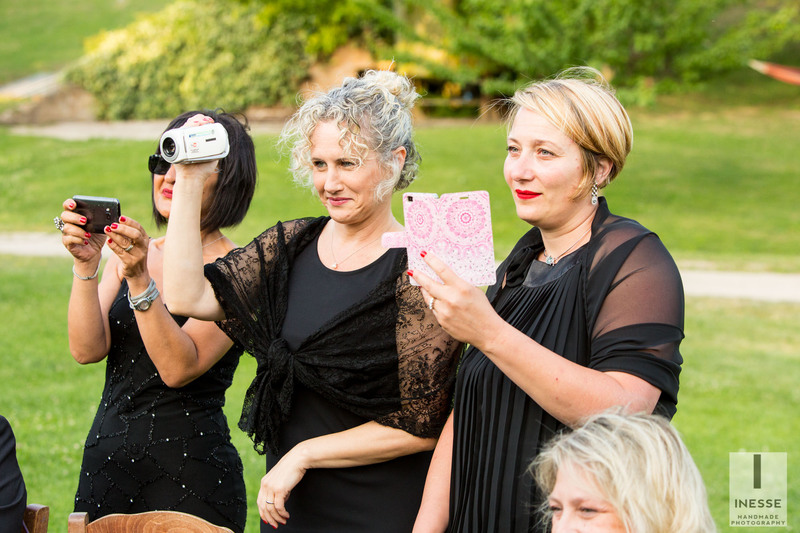 Enjoy the view with these pictures made by INESSE Handmade Photography. 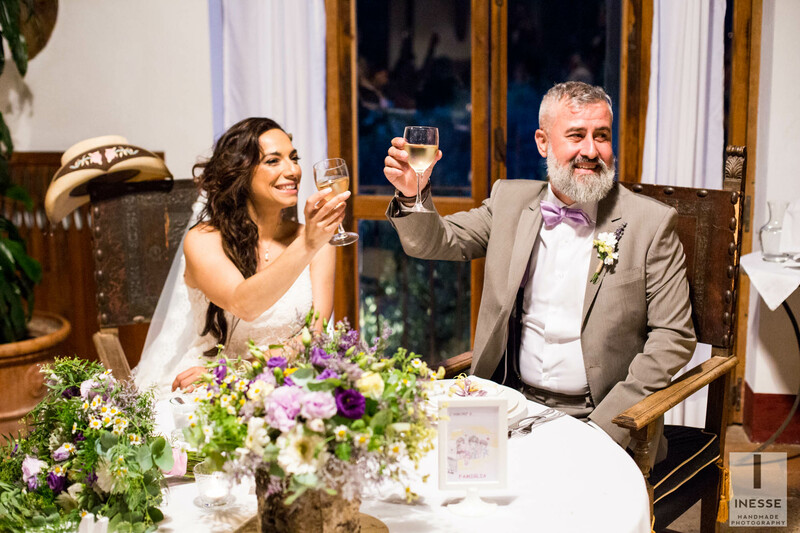 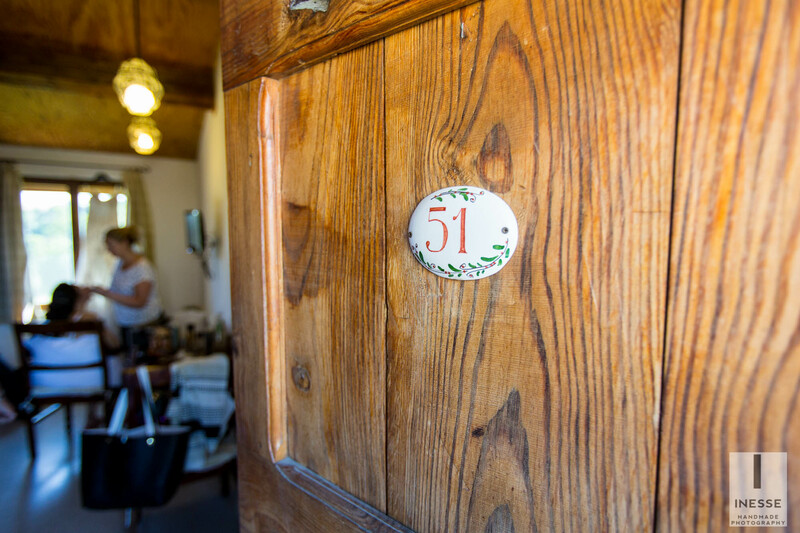 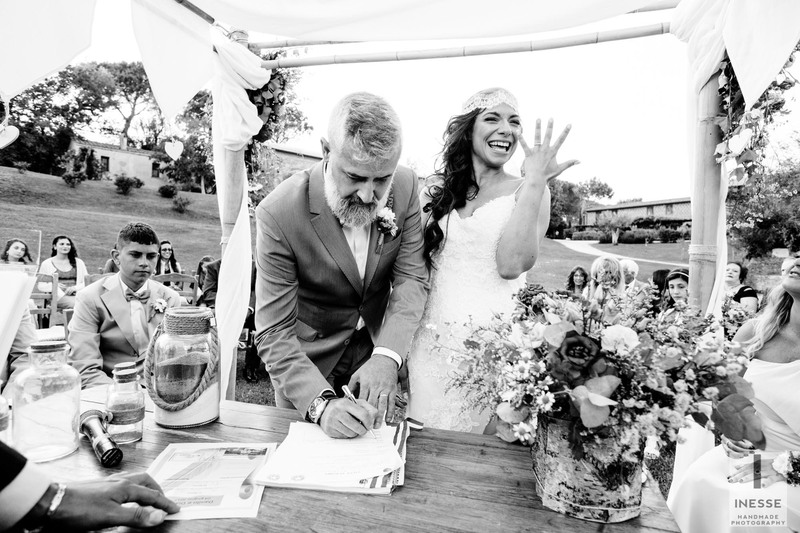 Diana and Danilo chose this location because it had everything they wanted: rustic and elegant at the same time. 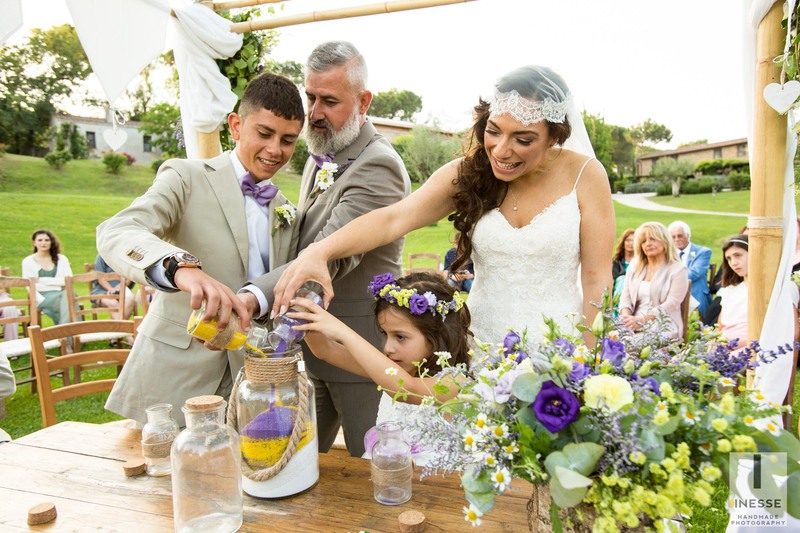 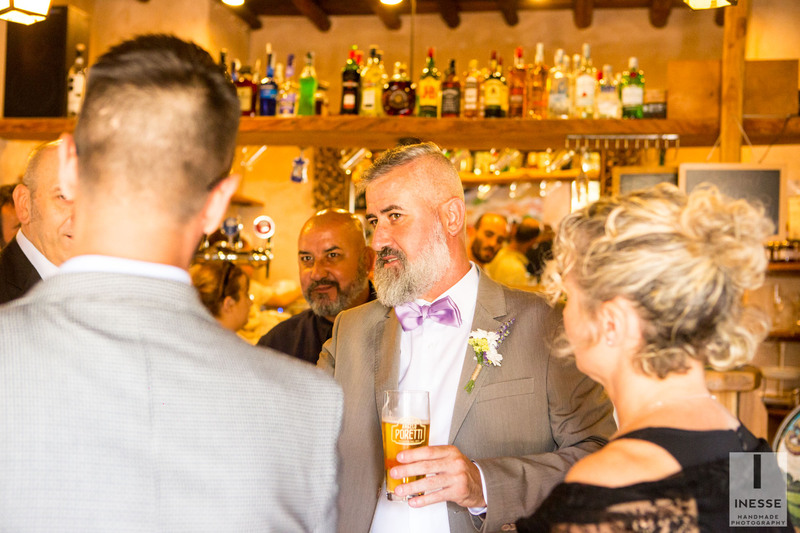 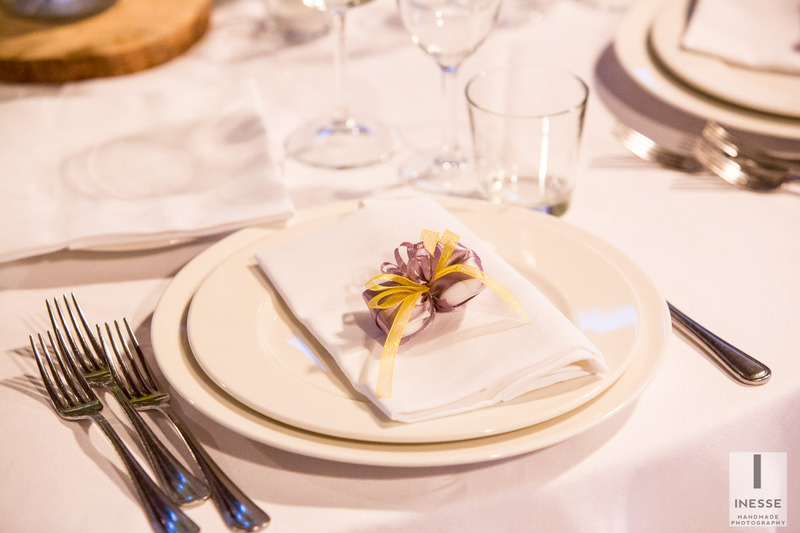 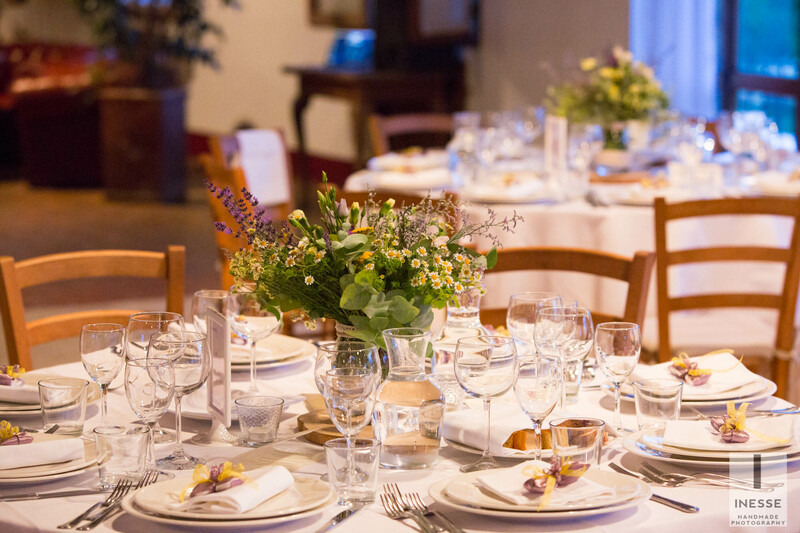 What they appreciated most was the fact that they could do everything in the same structure, enjoy excellent cuisine and entertain all the guests even before and after the ceremony. 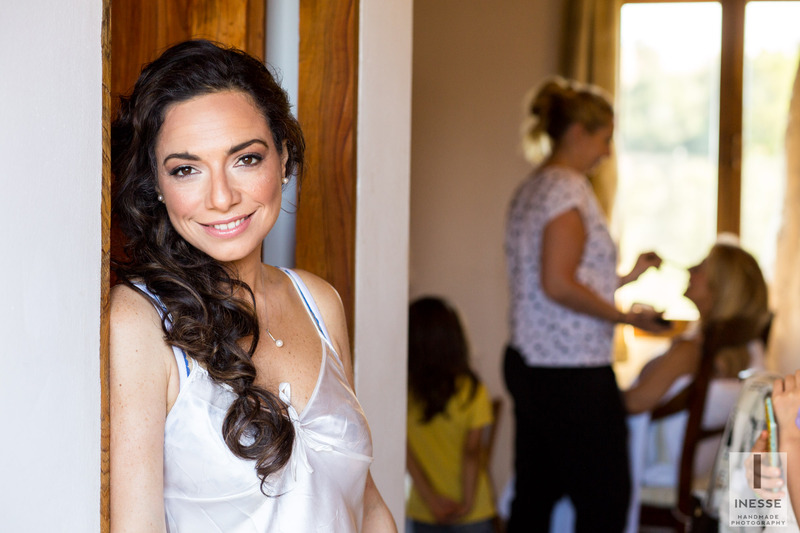 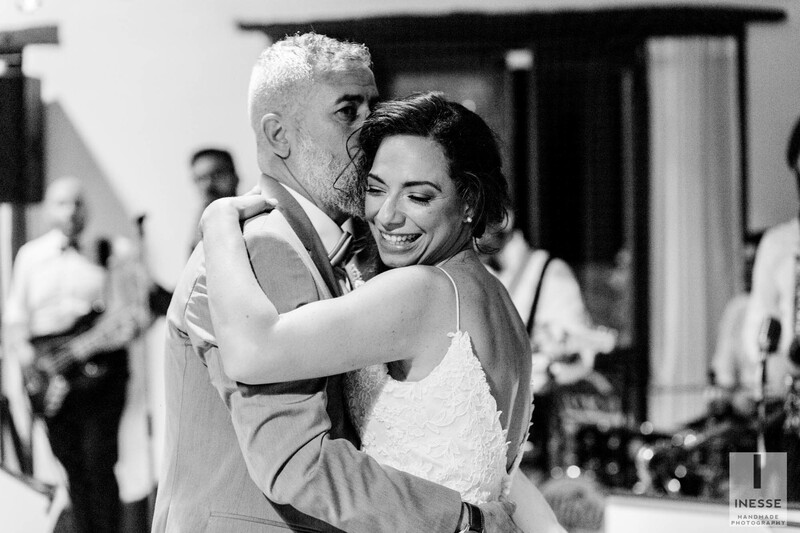 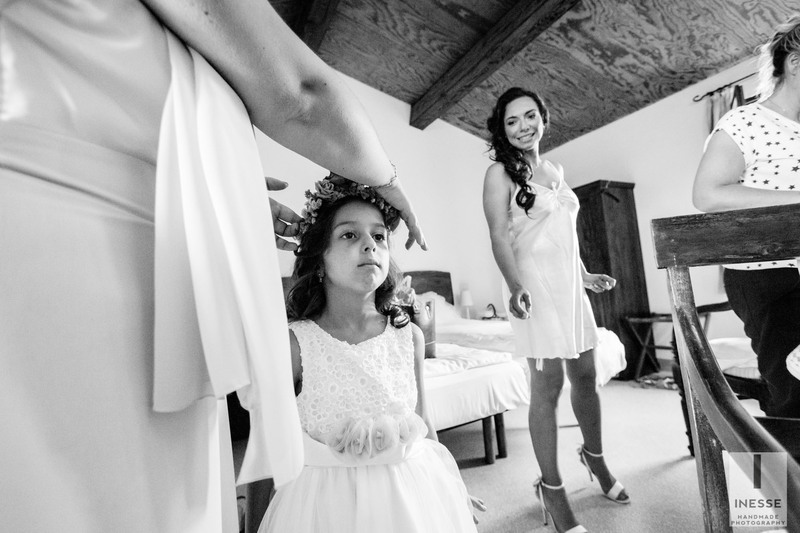 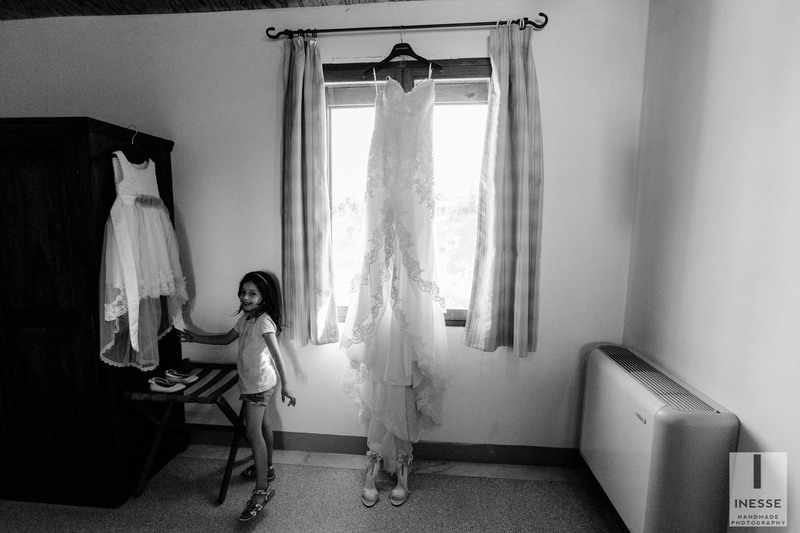 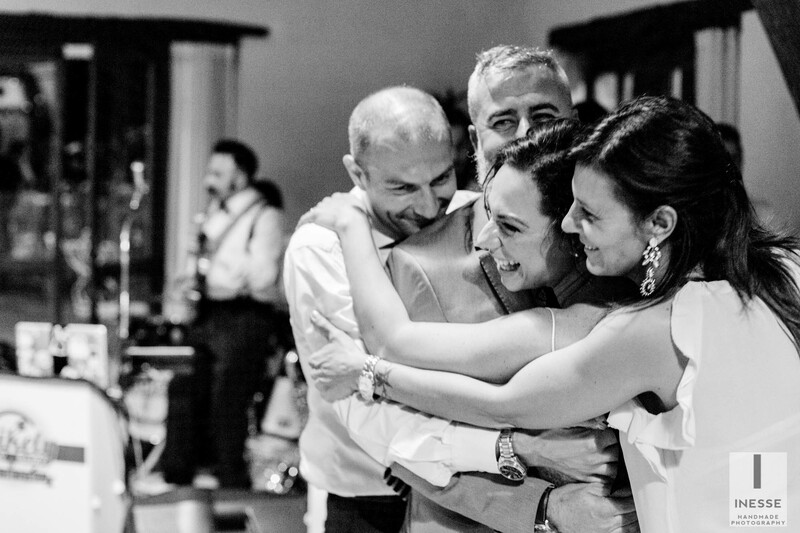 Since the very beginning of getting ready, Diana has felt like at home while Danilo had a lot of fun in the moments before the ceremony with his closest friends. 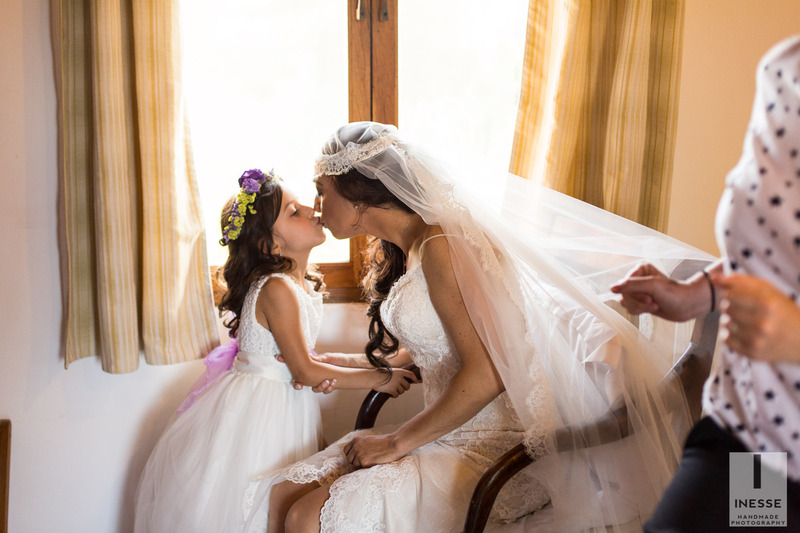 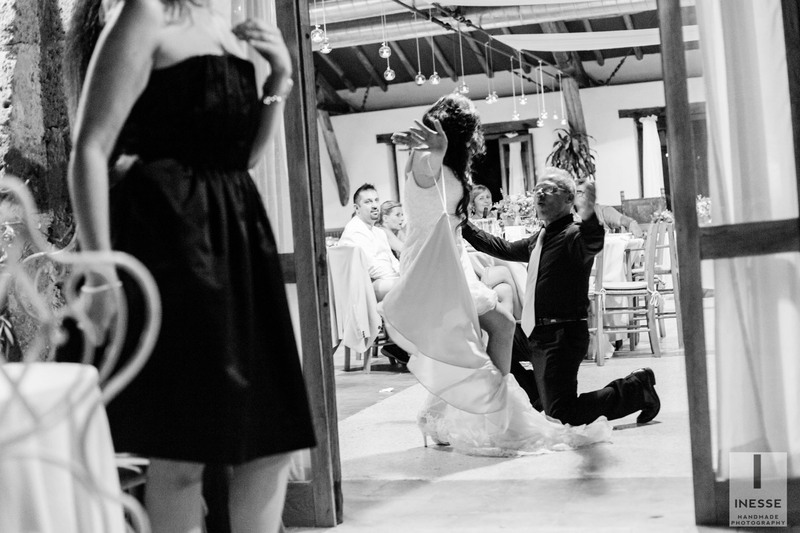 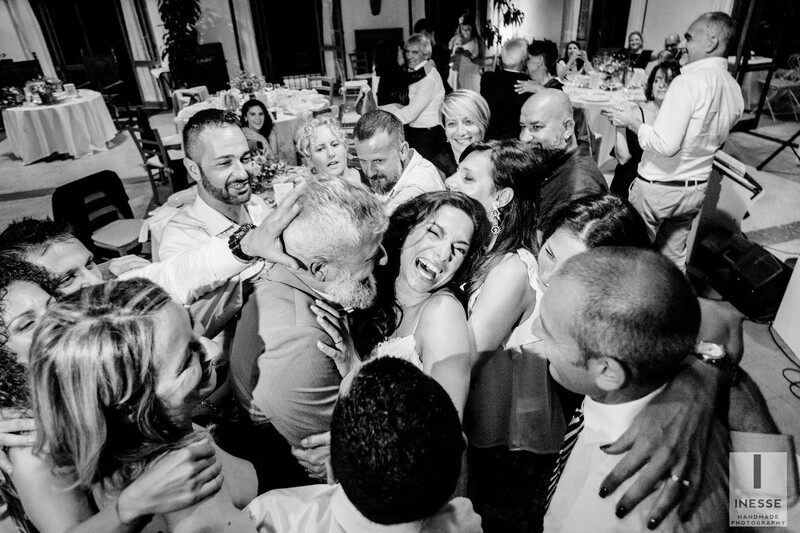 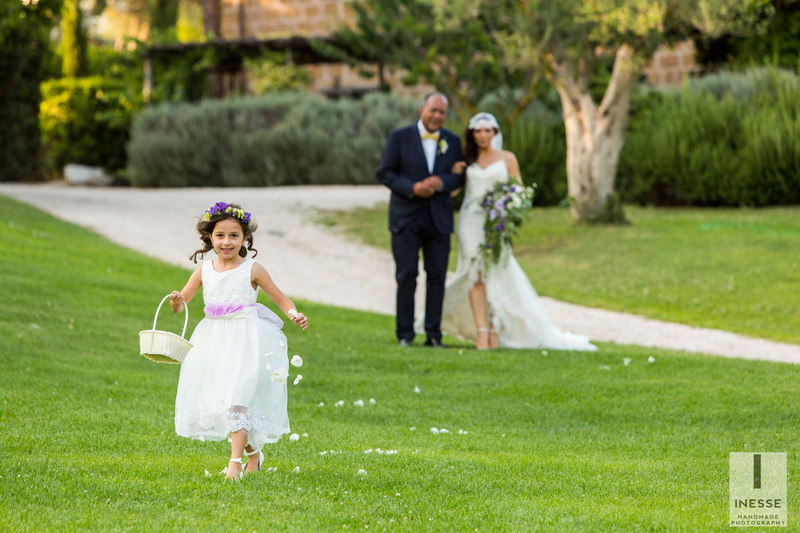 Sharing this joy with their children was one of the most indelible emotions of the wedding day. 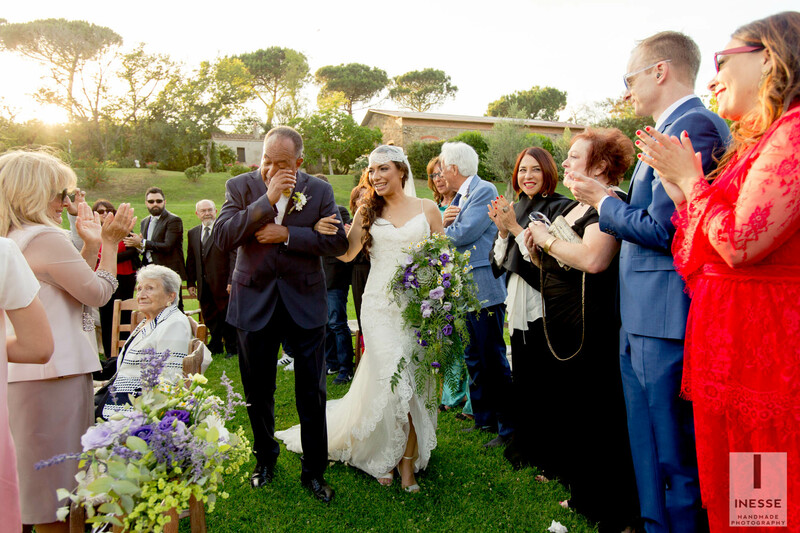 The designer of the bride’s dress is Lilian West and she found it at the l’Atelier Place Pigalle in Rome. 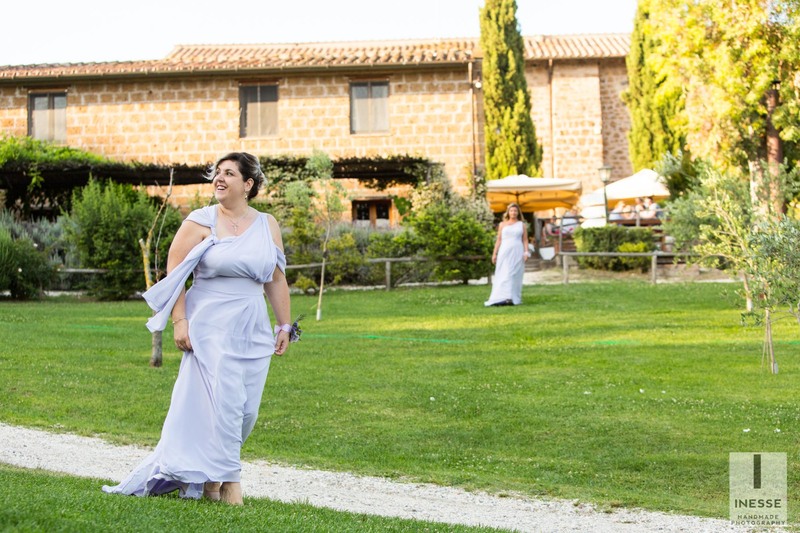 After the ceremony, while the guests were heading towards the aperitif area, we took the opportunity to take some pictures of the couple, in the same location .. 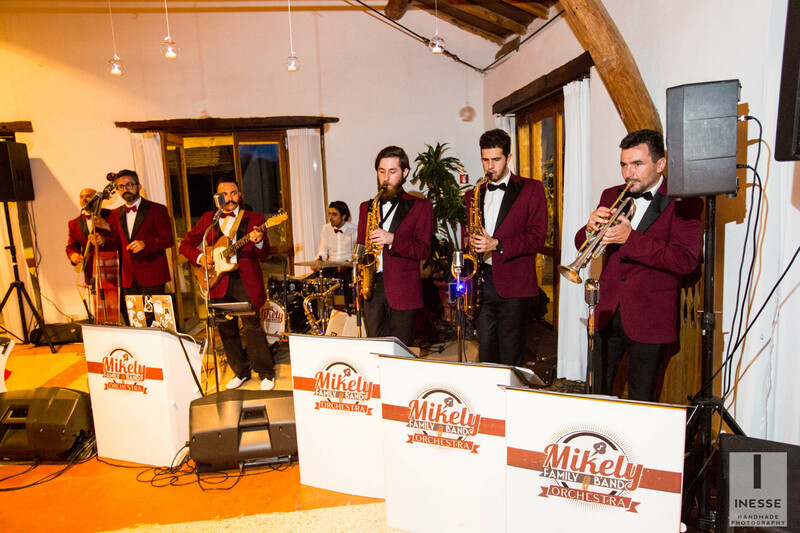 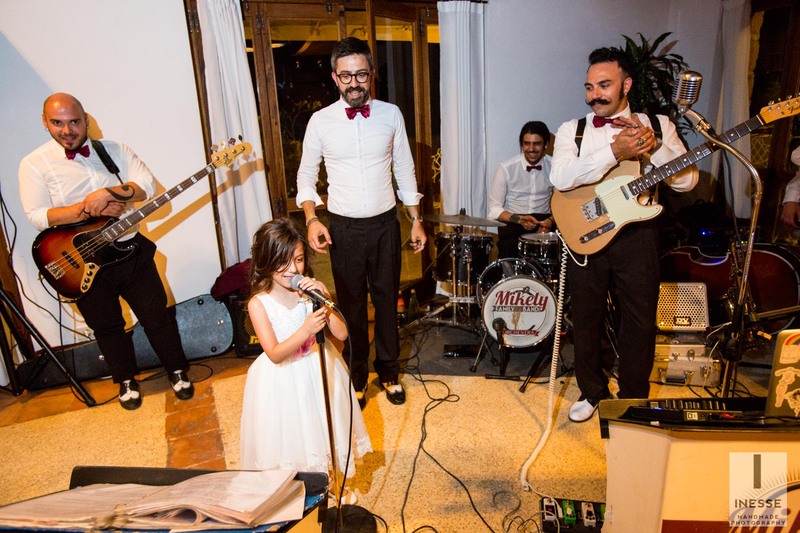 The evening continued inside the restaurant closed to the swimming pool, with the music of the Mikely Family Band!